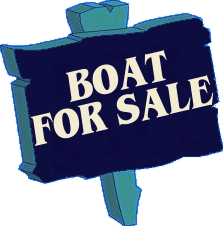 You’re sure to find the boating accessories you are looking for! When your boat is out of action, it’s crucial to keep it safe and in working order, so consider a boat cover made of water-resistant materials for top-tier protection. Once summer comes around, pick up boating essentials, such as batteries, chargers and docking accessories, to ensure you’re prepared for the next big trip. Hayward Marine features a large and diverse assortment of boat accessories. Shop our incredible selection to find everything from boat seats, lights, and safety essentials to electronics, motors, and docking equipment. We have must-have boat accessories that add to your fun adventures, such as paddle sport accessories, and we also have practical essentials for keeping your boat in tip-top shape. This includes oil and lubricants, boat covers, seating covers, tie-downs, drain plugs, and more. In order to enjoy yourself and get the most out of your marine adventures, you need to be prepared and you need to be able to take good care of your water craft. Whether you’re shopping for yourself or the boating enthusiast in your life, we have a large selection of exceptional products at affordable prices. Use our convenient filters to quickly and easily shop online so you can find exactly what you need. We have accessories for boats during off-season while it’s in storage as well as while you’re getting the most out of it. Everything from seating to towing and trailer essentials. You want to deck out your boat with everything you need for a fun marine experience. Whether you’re doing maintenance on your vehicle or having a party on the water, you can get everything you need at an affordable price.